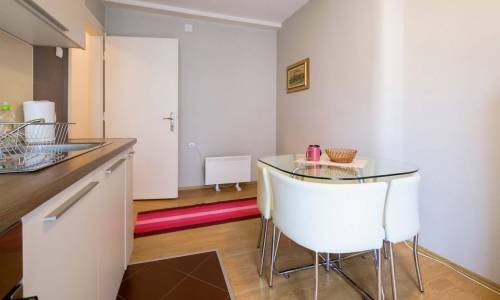 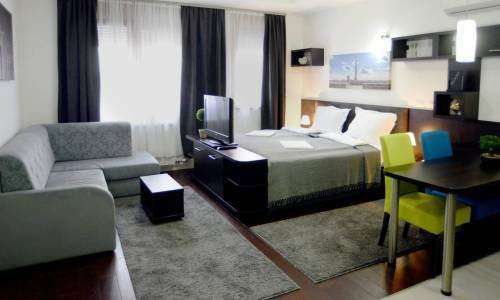 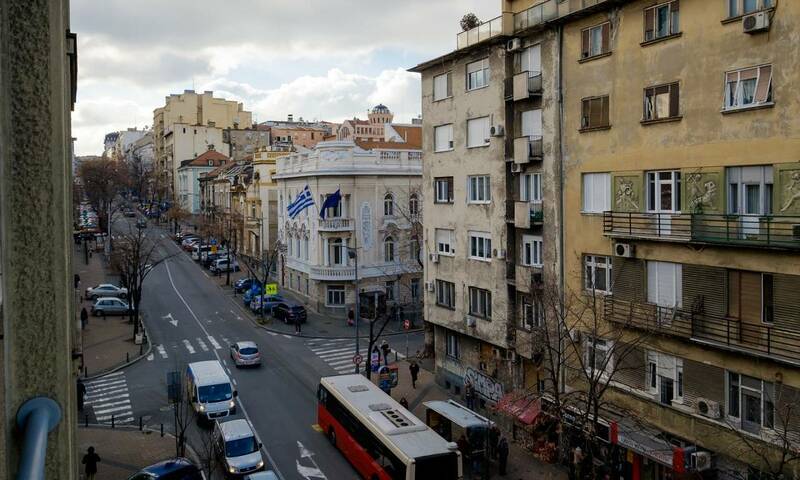 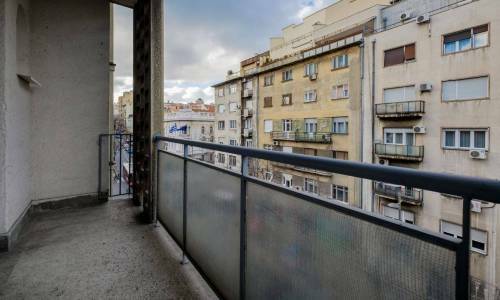 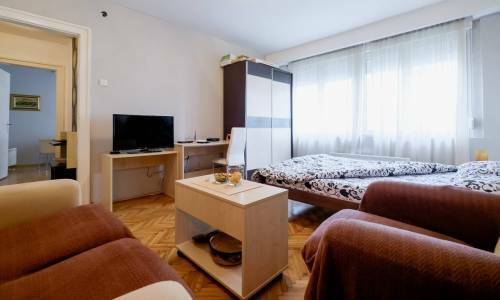 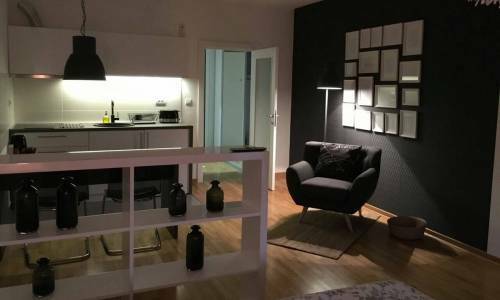 Apartment Florida is located in Francuska street, in the immediate vicinity of the famous bohemian quarter Skadarlija street. 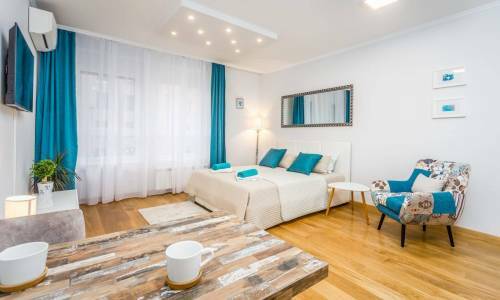 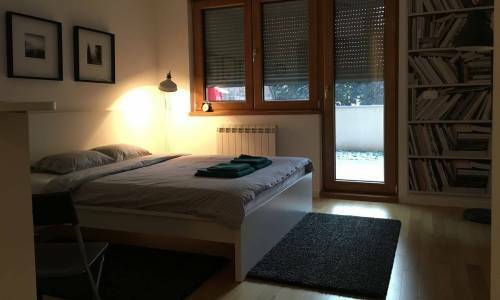 With a superb location and very comfortable, apartment Florida is suitable for two persons who want to be in the very heart of the city. 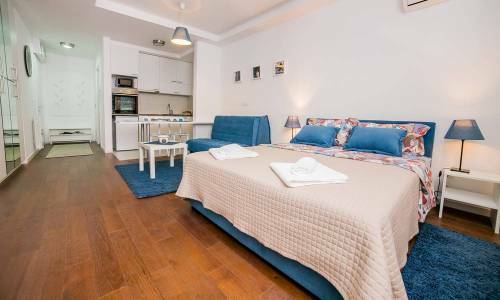 The apartment offers a spacious living room with a double bed, a separate kitchen with a dining table, bathroom and a terrace. 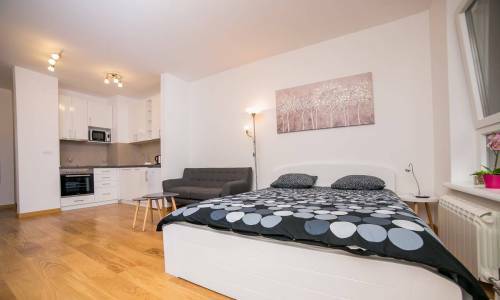 The living room is dominated by the double bed, a sofa and an arm-chair, including the wardrobes for your things and a TV set. 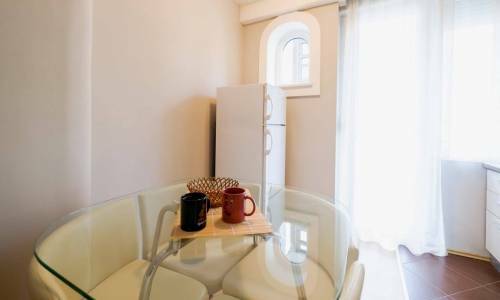 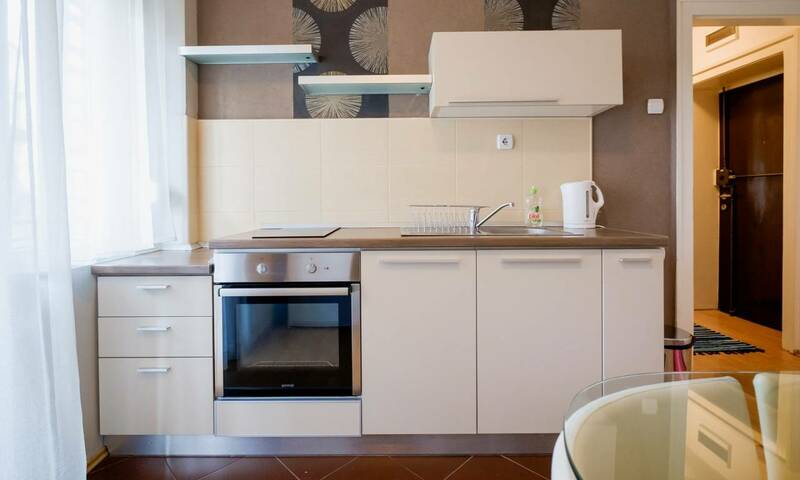 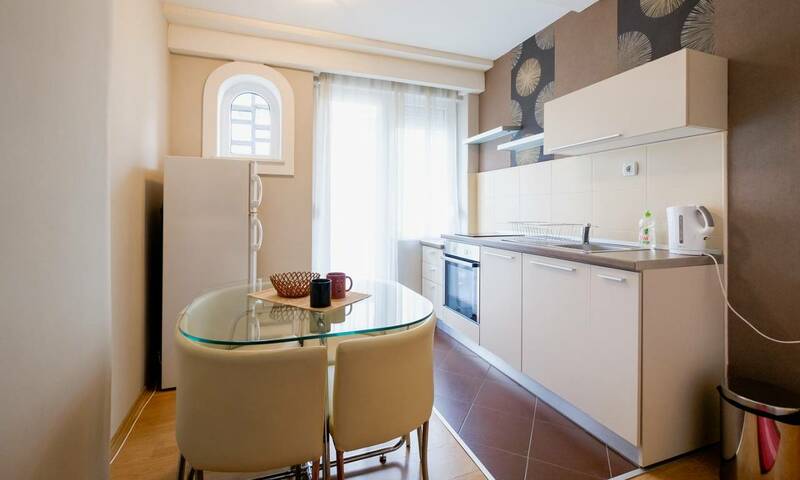 The kitchen is very nice, fully-equipped and has sufficient room, so there is a dining table, as well. 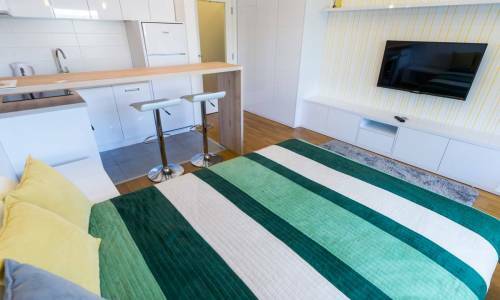 The completely new bathroom offers a washing machine and a shower. 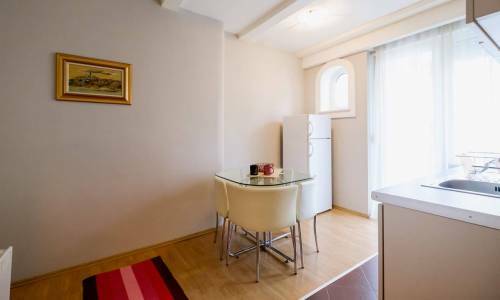 Florida is rather spacious for a one-room apartment with the capacity of 2 persons. 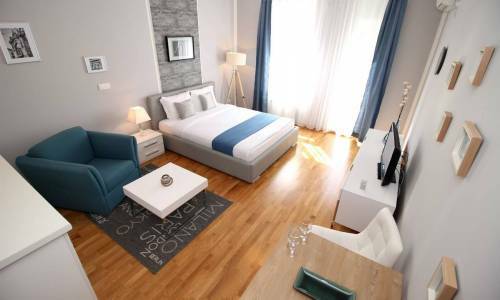 However, this is an important feature and it's important to check out the price list carefully, as for the first three nights, the price is 40eur, afterwards it's 35, while for 8 and more nights, the price is only 30eur. 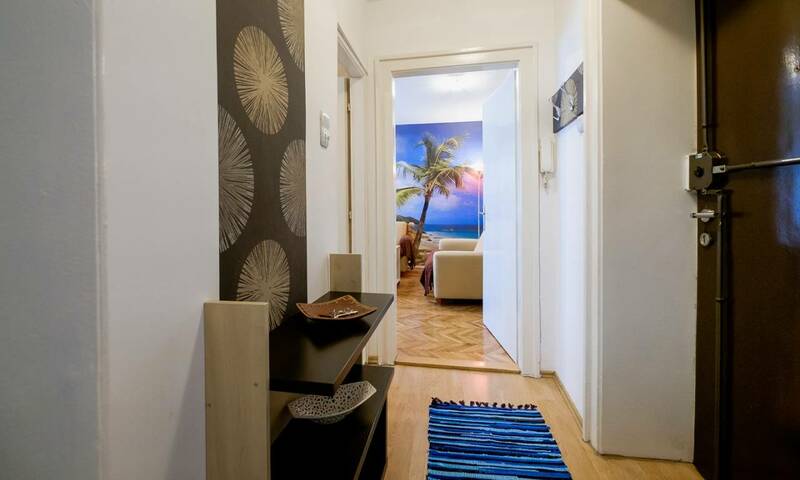 If you'd like an apartment near Skadarlija street, Florida is exactly what you're looking for.